For the cocoa lover in all of us. 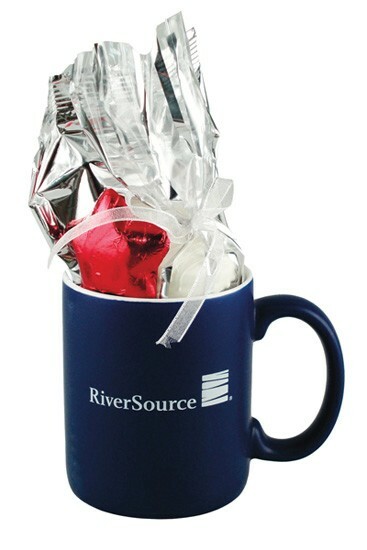 Oversized mug gift basket filled with 2 - 1.25oz hot cocoa packs, 6 pc bag of chocolate candy dipped Oreo cookies and 4 pc white chocolate candy covered pretzels. Wrapped in cello and tied with your choice of ribbon color.